It is absolutely true that I panned this cookbook (Agatha Kulaga and Erin Patinkin, Ovenly: Sweet and Salty Recipes from New York’s Most Creative Bakery ) on Amazon, for what I thought was a particularly unforgivable editorial error. But there were still things I wanted to make in it, so it made it into my recipe pointers page anyway. This recipe — Salted dark chocolate pudding — was simple and used ingredients that I (mostly) already had on hand, and it had been so long since I had made cooked pudding, and I had milk that I wanted to use up before it spoiled, so I figured this would be an easy weeknight experiment. (Although this post is publishing on a Saturday, I actually did the cooking on Wednesday night.) As a bonus, it’s only 230 calories per serving, which is comparable to a good piece of chocolate. As usual, we start with the mise en place. I made a few minor substitutions: I used vanilla paste rather than extract, low-fat milk rather than whole (which I can’t stand drinking and for that reason never buy), and I used Valrhona cocoa. Judging by the appearance, this recipe would have benefited from an even darker cocoa, like the “black” cocoa King Arthur Flour’s Baker’s Store catalogue sells. There’s rather a lot of salt — ¾ tsp — which I found excessive in the final product; other than that, it’s a fairly standard cornstarch pudding. For the chocolate, I used Valrhona Guanaja (70%); the authors recommend “60 percent … or higher”. 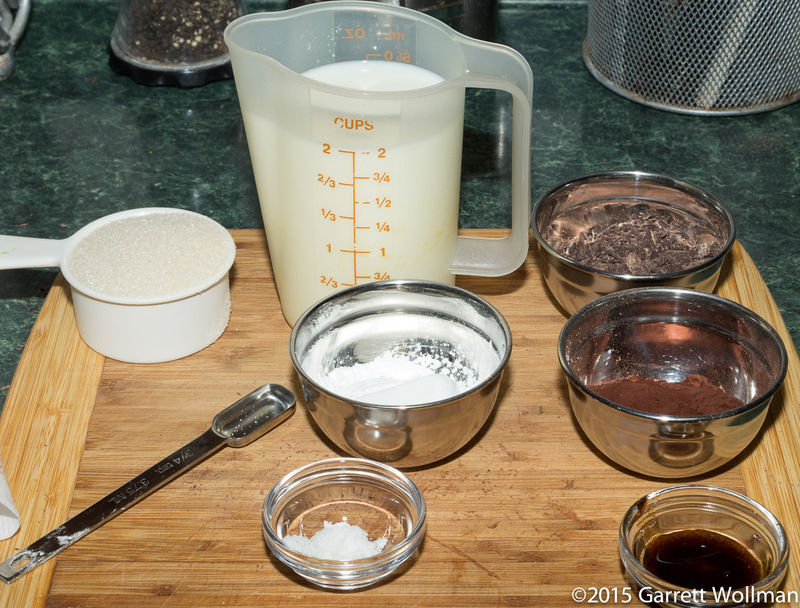 The recipe headnote states a yield of “about 2 cups, 4 servings”, so my first approach was to measure out one half-cup into a dessert cup, then replicate by mass. 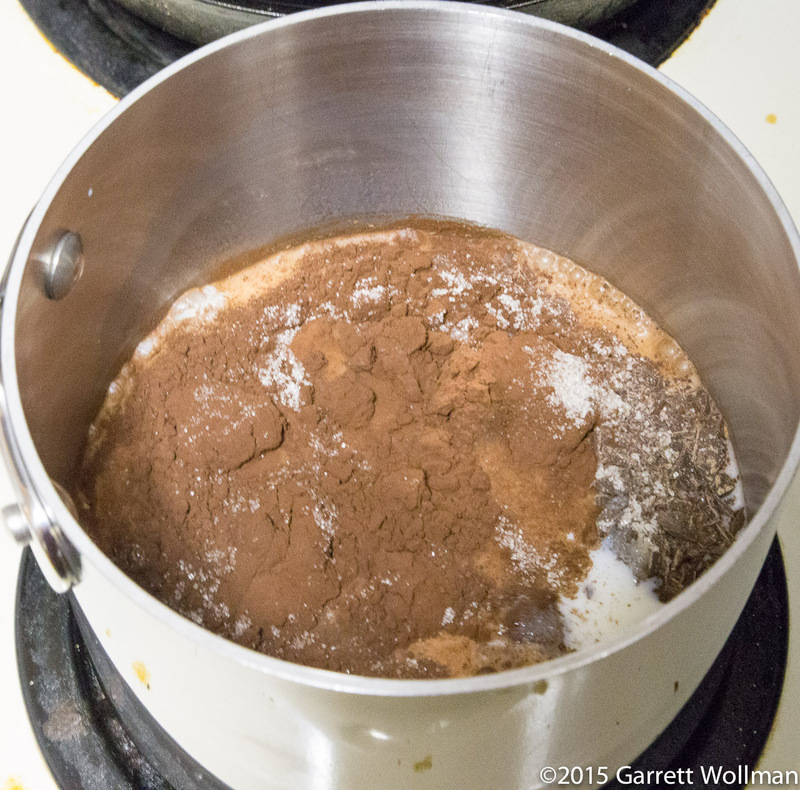 That left a lot of pudding in the pot, so I kept on pouring to determine the actual yield, which was 620 grams, giving 155 g per serving (about 5½ oz or ⅔ cup). As I said, I thought that this was a bit too salty, although to be fair, when a recipe title begins with “salted” you can’t complain too much about it. If I were to make this again, however, I would probably cut the salt in half — which would probably make it just an ordinary chocolate cornstarch pudding. 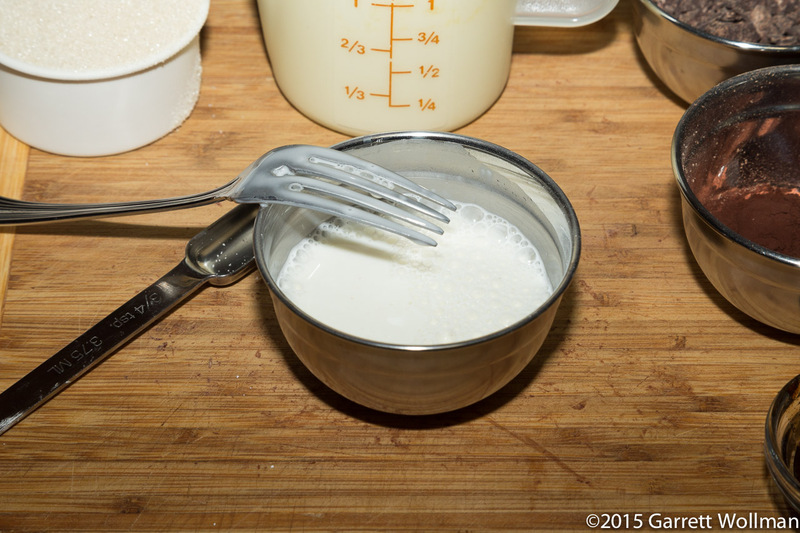 This reflects the recipe as written (with whole milk), not how I prepared it. 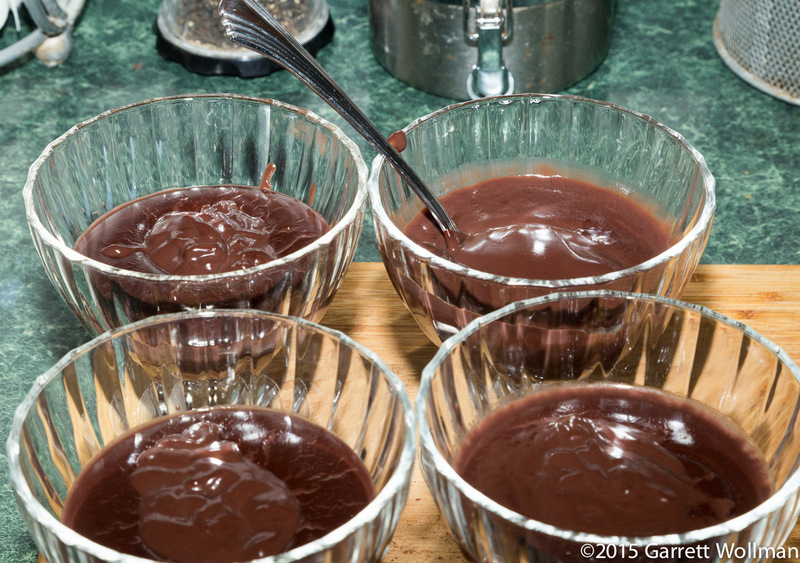 This entry was posted in Food and tagged chocolate, Ovenly, pudding, recipe. Bookmark the permalink.